The term "tree snail" is used to describe any land-dwelling and air breathing snail that is commonly found in trees. 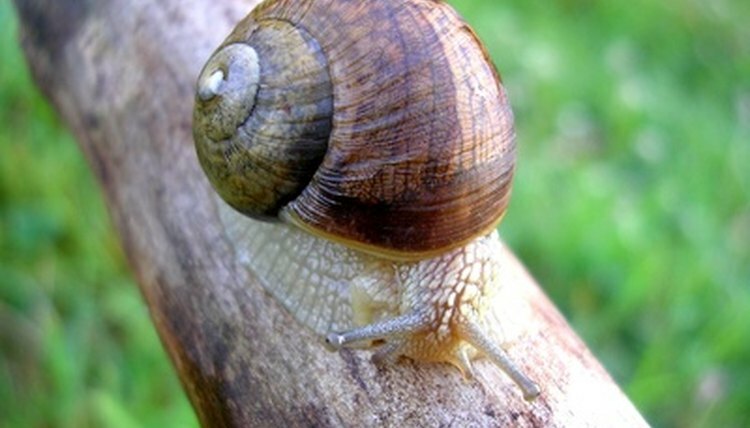 Tree snails are mollusks, closely related to other snails and slugs. Most tree snails share the same physical characteristics: colorful, spiral-shaped shells and antenna-like stalks on the top of their heads, which are actually their eyes. Tree snails are found all over the world, usually in warm and humid tropical regions like Australia, Hawaii, French Polynesia, Samoa and the Southern United States. One species of tiny tree snail is almost extinct thanks to another species of snail, the invasive rosy wolfsnail, eating it. Some tree snails, like the O'ahu tree snail, are endangered because of people hunting them for their beautiful spiral-shaped shells. Most species of tree snail eat fungus, but unfortunately many farmers use chemicals to rid their crops of this fungus, leading to the deaths of tree snails. A newly-discovered species of tree snail found in Australia was named "Crikey steveirwini" after the late Crocodile Hunter.